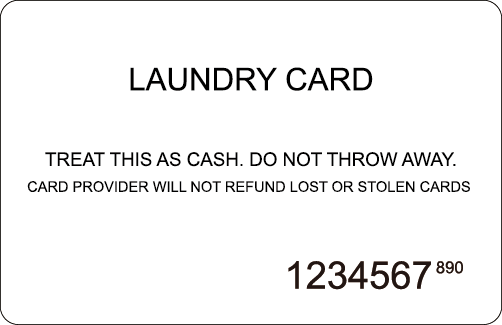 Check the back of your Laundry Card for the 3 digit CVC. If you do not see one, call (800) 526-5760 to retrieve it. By selecting the CleanAlert, you are agreeing to receive email and/or SMS messages to your mobile phone for status updates for your laundry. We will never share your personal information with any third party without your explicit consent. You may disable CleanAlert at any time from your profile settings.